I have a really awesome giveaway today from one of the sweetest ladies with a beautiful Etsy shop. 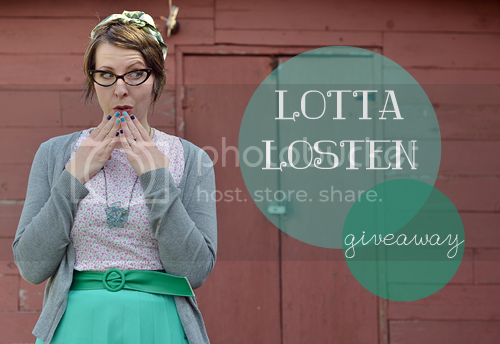 Today Lotta Losten is giving away a beautiful necklace from her Irregular Pieces collection. I have one (as you can see) and I love it. Lotta makes each necklace by hand using no tools and every one is a little bit different. The winner will receive a necklace from the Irregular Pieces collection in the size and colour of their choice! Visit Lotta Losten on Etsy and leave a comment telling me your favourite item in the shop. 1. Visit Lotta's blog and say hello! 2. Spread the word about the giveaway. Make sure you link to this post and if you are using Twitter include @loveelycia & @lostenjewelry in your tweet. I will announce the winner on Wednesday May 16th. Good luck! PS. If you just can't wait to grab a necklace you can use the coupon code MAYFEST for 25% off. I <3 Cage Necklace Pendant in Minty Green with Tea Dyed Tulle. So super cute and will match most of my summer clothes! This reminds me of an opened beech seed - which I always played with in my grandmother's yard! Wow that pendant flower is awesome! I also really dig all of those irregulars on the long chains. Gorgeous conversation pieces! I love the circular necklace pendant in champagne. So simple but still makes a big statement! I really love the Necklace Pendant -Flower- in Champagne and Salmon Pink. It is a really gorgeous necklace and is very unique! I love the Irregular Pieces collection. I think my favourite is the Nougat Brown and Peach Pink necklace. Oh how lovely! I can't resist this give-away! I really love the Necklace -Irregular Pieces- in Matte Dark Turquoise and Amber Yellow! I left a little comment on Lotta's blog. So fun! I really like the Dark purple and transparent. I am loving the Tilt- in Minty Green. What fun pieces she has in her shop! Woo! I saw yours before in your outfit post and loved it! So pretty :) The Drop Earrings in Lilac and Olive Green are my fav! Ran over to her bologna and said howdy. Dude, she has some awesome stuff on there! Just finished tweeting about this. Kindle fire is a pain to type on. In my previous post it switched blog to bologna. So crazy. I really love the Spear Necklace Pendant in Champagne and Blue Green! The Leaves on a Branch Light Turquoise Pendant is so pretty!! I really really love the Leaf Earrings -Minty Sharp- with Moonstones! I really like the Cage Necklace Pendant in Mint and Transparent. It's simply beautiful. I really love the Necklace -Irregular Pieces in Bright Champagne. It's just so wonderfully cute! Fingers crossed! I feel like winning would be cheating, since it'd be like two in a row, but still. Super cute! I like the nougat brown one with the transparent glass best, because it would go fantastically with my bright red dress. Wow! These pieces are so interesting. I love the Necklace Pendant Splinter Series in the black and transparent. Love these pieces! My favourite is Drop Earrings in Lilac and Olive Green. My favorite item is the Favorite drop shaped entangled cluster ring in orange and vivid blue! Ack, what? These are so amazing. im loving the Necklace Pendant -Leaves on a branch- in Light Turquoise MEDIUM so delicate! I said hello at lotta losten! My favorite item is the Cage Necklace Pendant in Champagne with Plum Coloured Tulle. So pretty! Your blog is really neat! I'm just getting into reading it and it's super fun! I tweeted about the give away here; https://twitter.com/#!/LO_TS/status/200394386239004672 [@lo_ts contact email being lo_ts@ymail.com]. The pendant flower in champagne and pink is so sweet and lovely! Thanks for the contest! I love the leaves on branch pendant. Anything green and leafy is for me!! I commented on Lotta Losten's blog. The necklace-pendant leaves on a branch in spring green looks absolutely fab! She has some really pretty pieces in her shop! I love the Necklace -Irregular Pieces- in Matte Dark Turquoise and Honey Yellow. The red one is also very nice! 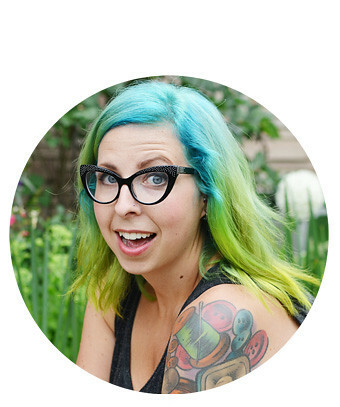 I also like Lotta's blog so i follow her blog at bloglovin! These are so cool! I love the mauve grey necklace with the transparent crystal. I loooooove the Necklace Spendant in Antique Silver. I might actually have to use the code so that no one swipes it up! I don't think I can choose a favorite from her shop, I love the irregular pieces, the leaves & especially the cage necklace in grey & mauve! really love the bright champagne and transparent crystal statement necklace. lovely. After spending quite some time on her Etsy, I think my absolute favorite is Cage Necklace Pendant in Champagne with Plum Coloured Tulle. Such a beautiful color combination and creative idea with the use of fabric, and the dye OF BLUEBERRIES! Genius! so many beautiful items in her shop, but i really do love the irregular pieces in matte dark turquoise & honey yellow...it combines two of my favorite colors. I love Leaves on a branch in turquoise! I love the piece in black with the pink stone! SO PRETTY! holy cow these are adorable - I love the Cerise and Honey Yellow Irregular Pieces. So cute! I love the necklace pendant flower (champagne)!! I love Cage Necklace Pendant in Dark Mauve! There are so many cute things over at her shop! If I had to pick (a few), I love the blue and orange cluster ring, the pink and purple cluster ring, and the Irregular Pieces Tilt in Bordeaux. So many beautiful colors! I love the Irregular Pieces necklace in Nougat Brown and Peach Pink! It's so pretty! My faaavorite piece is another irregular necklace but I LOVE the "Black and Peach Pink" version. Too good! My favourite piece is the leaves on a branch necklace in light turquoise ! I love the Splinter Series necklace in Minty Green and Transparent. So cute! Oh! I have to take my chance, these pieces are amazing! It's almost impossible to pick a favorite but I do really love minty green, so there you have it :) http://www.etsy.com/listing/73065645/necklace-irregular-pieces-tilt-in-minty woah! So pretty! I love the Necklace Pendant -Flower- in Champagne and Salmon Pink. I'm in love with the flower pendant! Just went to lotta's blog to compliment her on her work, might go on ahead and buy some for my mum for mother's day. Oooh, tricky! I think my favorite is the cage earrings in Dark leaf green and salmon pink. These pieces are totally fantastic.